We have been working hard on Phase 2, the Fitness Studio which is intended to support larger fitness classes and high intensity workouts. 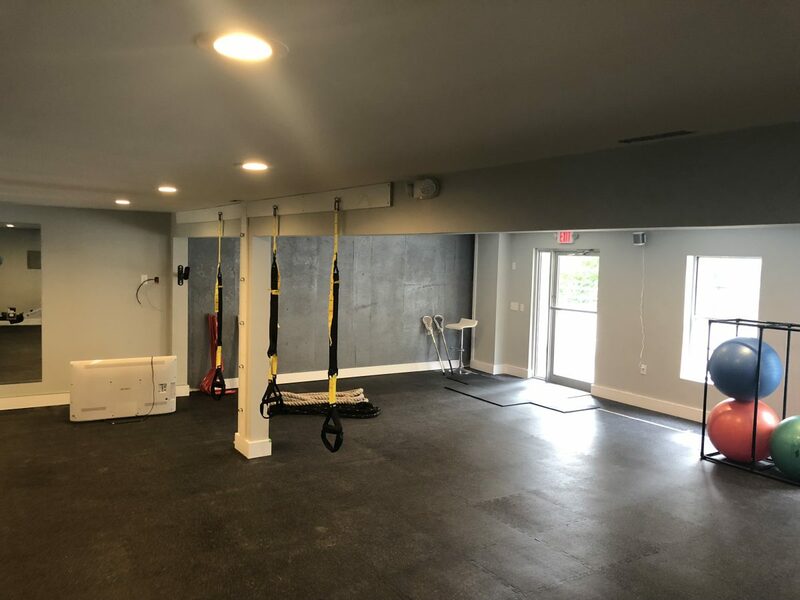 We have cement walls and floors that are fun to slam balls against and will be adding some fun equipment to keep things interesting and provide an excellent environment to improve athletic performance. To celebrate, the month of October, we are having a buy one, get one sale for our monthly memberships. Come on in, call us or send us an email for more information if you are interested. Previous Post: We’re moving!!! and we’ve changed our name.